I've lived in western Washington for 13 years and am admittedly addicted to seeking out all the beauty and adventure it has to offer. How Were These Hikes Chosen? If you're reading this now, I'm assuming that you either like to hike, want to hike, or enjoy living vicariously through other people's hiking photos. No matter which category you fall into, you are in the right place. 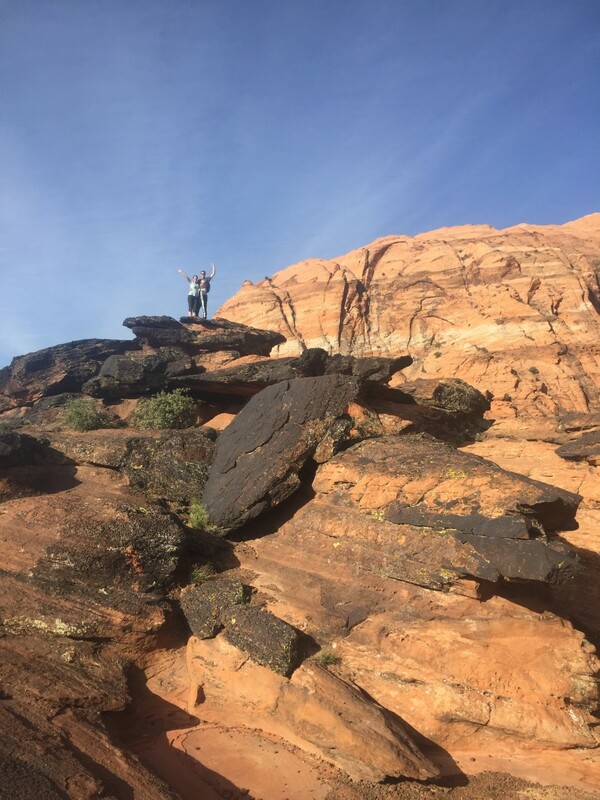 In fact, I fall into all of those categories, but before we jump into the hikes, I'll explain why I've chosen to highlight these specific hikes that I've chosen to share with you. I've done quite a bit of hiking around western Washington, but admittedly, there are still a lot of hikes that I haven't done yet. 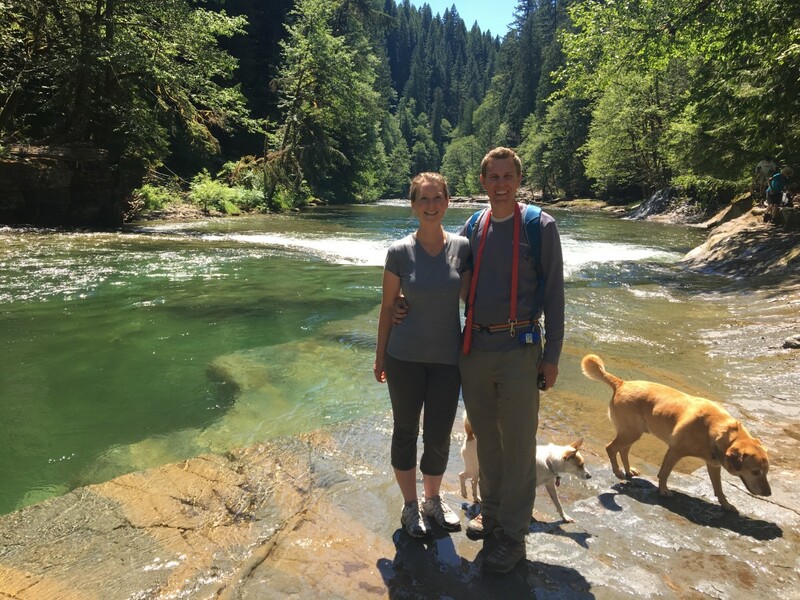 While there are a lot of hikes I've seen pictures of that are on my hiking bucket list, the hikes I've chosen to highlight here are hikes I've done myself, some of them multiple times. 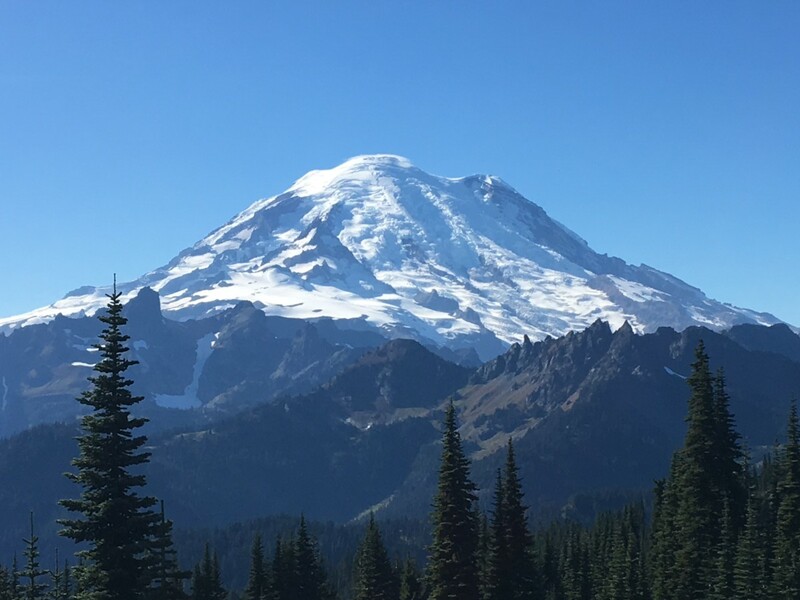 I wanted to be able to give insider incites on the hikes, and you just can't authentically do that if you're writing about a hike you've never been on, so what you will see here is a list of some of my personal favorites. I hope soon they will be some of your favorite hikes as well. 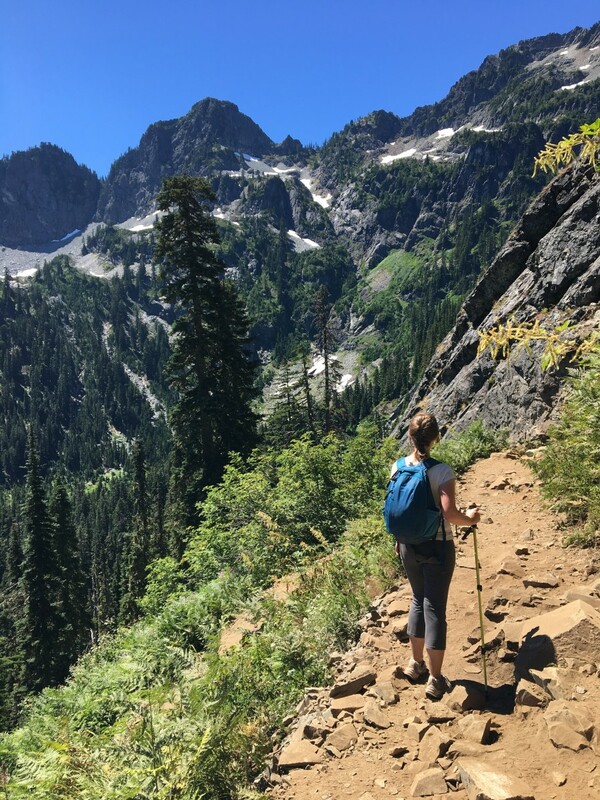 If you want further information about any of these hikes, I highly recommend the Washington Trails Association websites for researching details about these hikes or any others in the area. You can google any of these hikes and you will see a link to the WTA website. It gives great hike summaries, driving directions (so you know how to get where you're going), and reviews with trail and road conditions from people that have been there recently. 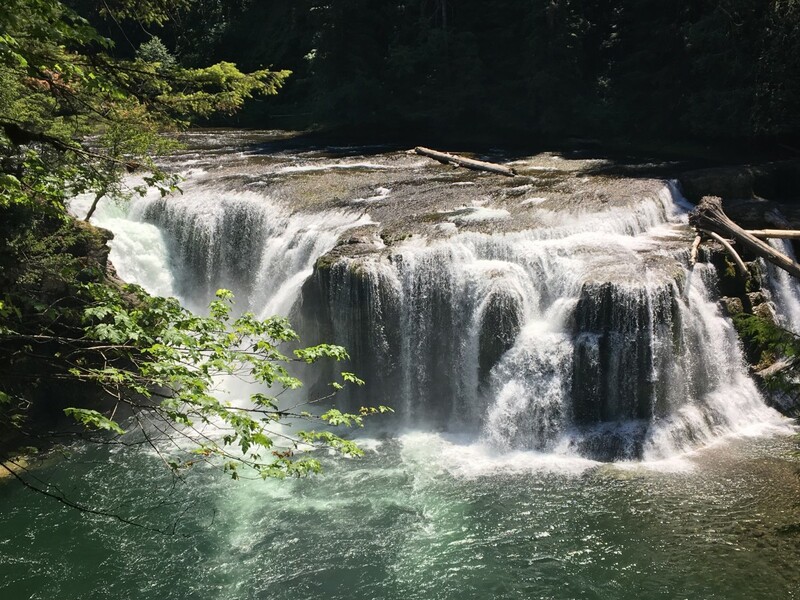 I saw some pictures of Lower Lewis River Falls years ago, and instantly knew that some day I needed to see those falls in person. Fortunately, I was able to turn that dream into a reality recently, and it was amazing! 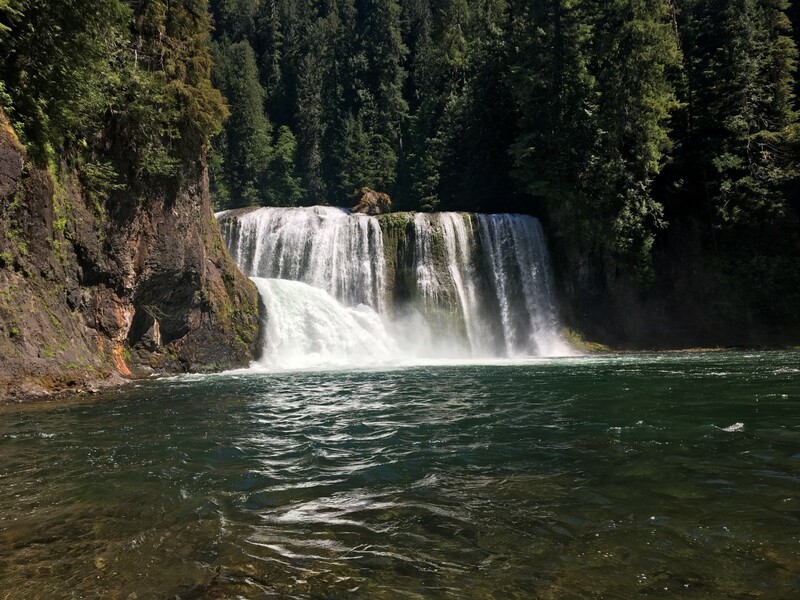 The Lower Lewis River Falls Trail is in the Gifford Pinchot National Forest area near Mt. Saint Helens. It's a really long drive for me to get down to this area, but some of you who live further south are blessed to have this trail closer to your vicinity. Also, I'll provide you with fair warning that the road out to the trail head is pretty rough. 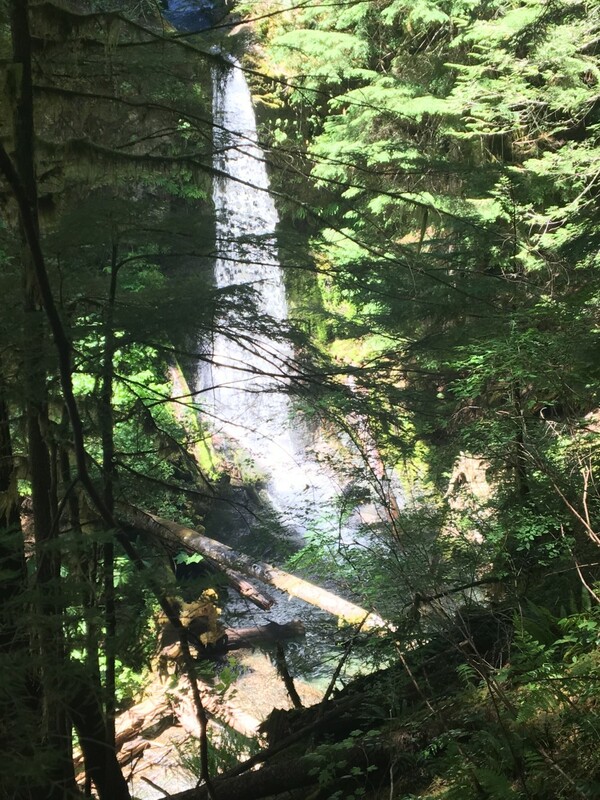 The mileage on this trail can vary due to the fact that if you want to you can view the lower falls that are very near to the parking lot and then drive up to the trail head for the middle falls rather than hiking the whole trail from the very bottom up to the top. 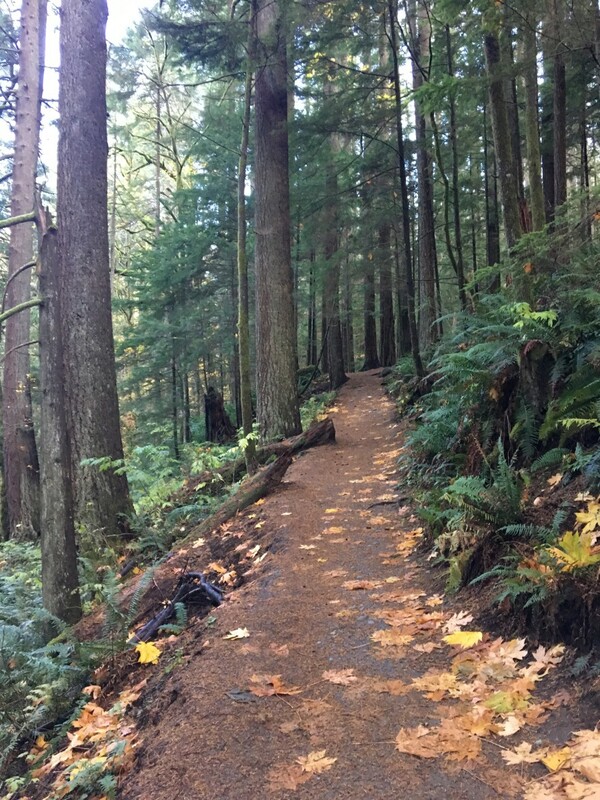 The round trip mileage for the full trail is listed by the Washington Trails Association as 8.8 miles. Because most of this hike is following the river, there's not a whole lot of elevation gain (only 400 feet). 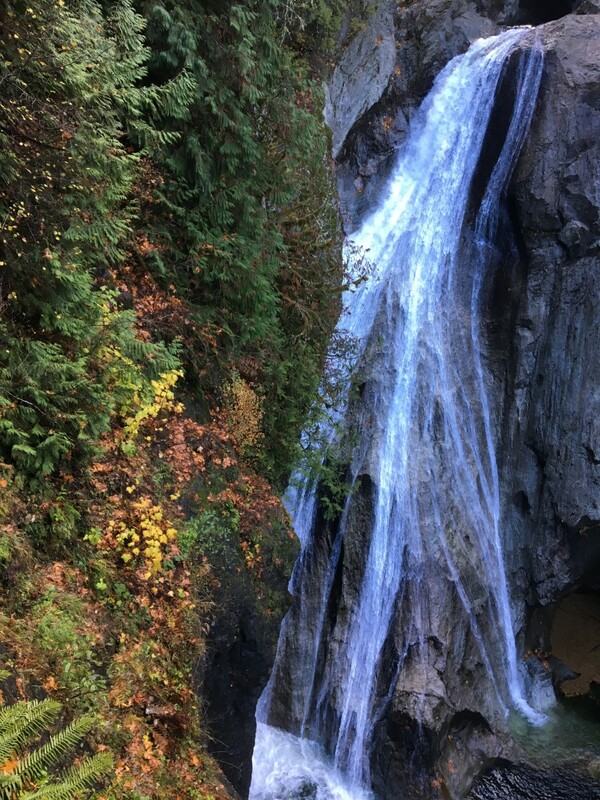 I would rate this as an easy to moderate hike (moderate only because of the distance), and the beautiful waterfalls make it absolutely worth the mileage you put in. When we reached the upper falls, I sat on a rock with my feet in the water for at least half an hour. It was heavenly, I felt like I could have stayed there for hours, but unfortunately the schedule for the rest of my day didn't agree. 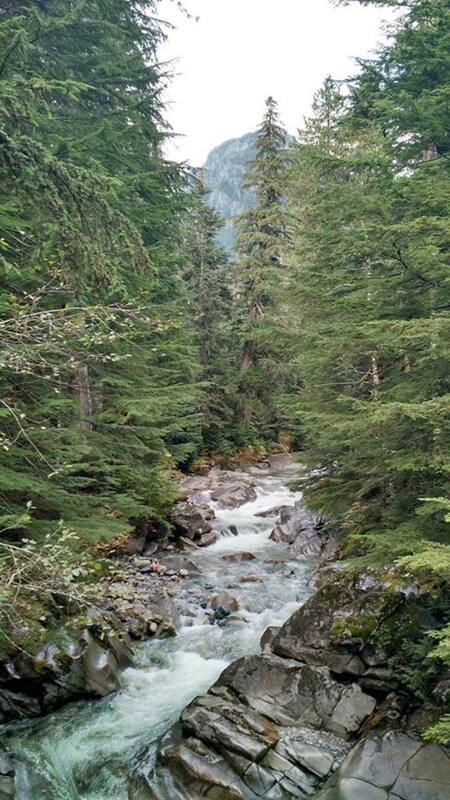 You will need a northwest forest pass to hike this trail, but if you don't already have one, you can purchase a day pass (currently $5) at the ranger station on the way in. This trail is known for having one of the best in your face views of Mt. Rainier available out of all the hikes around. Sure there's probably some debate for which hike really has the number one best view, but pictures of this hike make it obvious that it's definitely a legitimate contender in that contest. 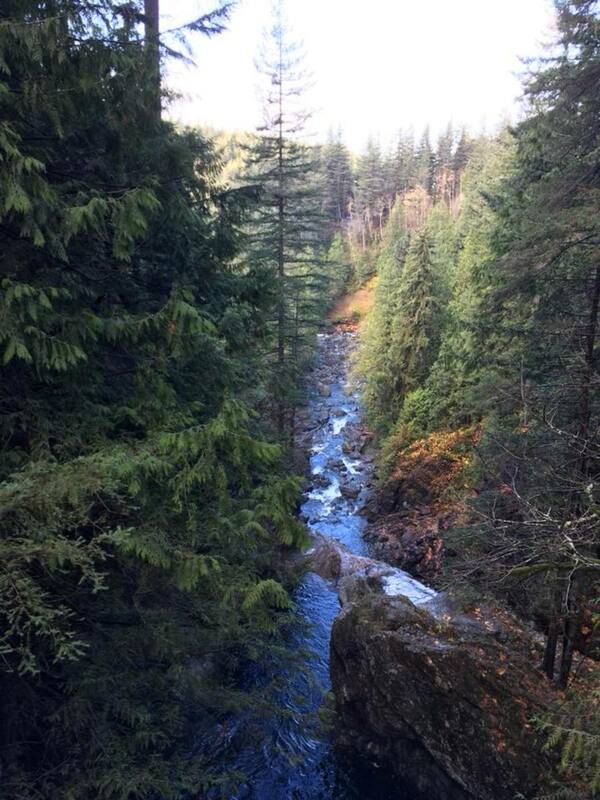 This hike is 7.5 miles round trip with 1,100 feet of elevation gain. To be honest, the road up to the hike was more difficult than the hike itself. There are several miles of washboard like road, and the morning we drove up, it was quite slick from recent snow melt. The drive was terrifying, but the hike itself was great! 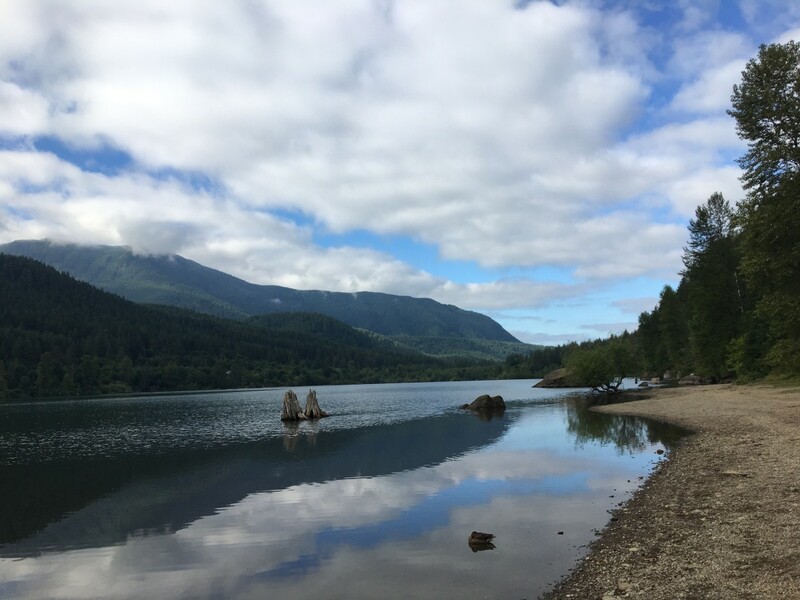 This hike starts at the Mowich Lake trailhead, and you will definitely want to spend time taking in the beautiful serene waters of the lake. 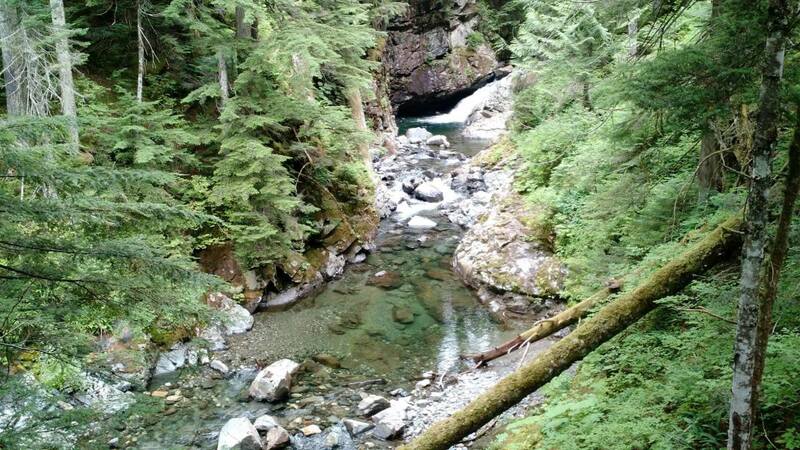 If I would have gone on the hike on a summer day, I definitely would have been swimming. 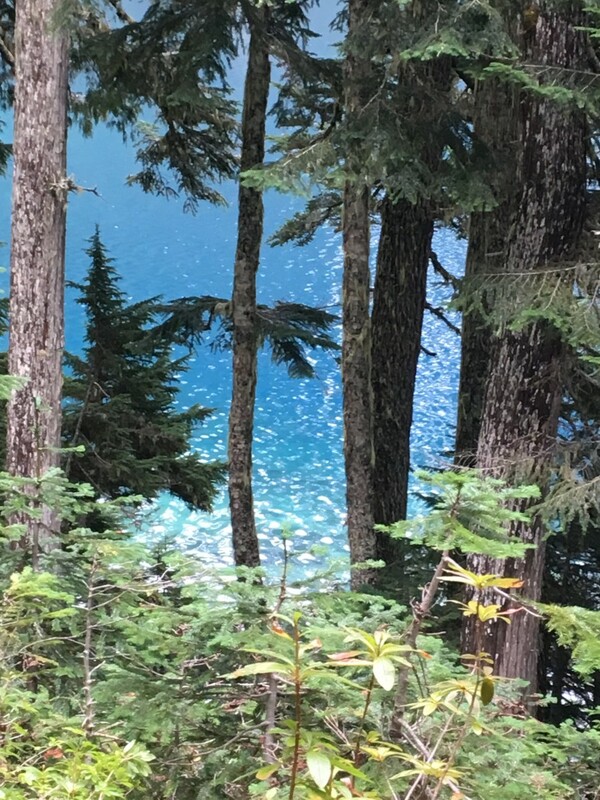 There's also a campground at the lake, which would make it really convenient if you wanted to hike both Tolmie Peak Lookout and Spray Park (which is on my bucket list and stems from the same trailhead). Pretty soon after starting your hike, you get to hike down for a bit. It's not until the last mile or so of the hike that you start to really gain elevation. I heard that the last mile was really steep, so I was a little nervous, but it really wasn't that bad, and there was even snow the day I hiked it. 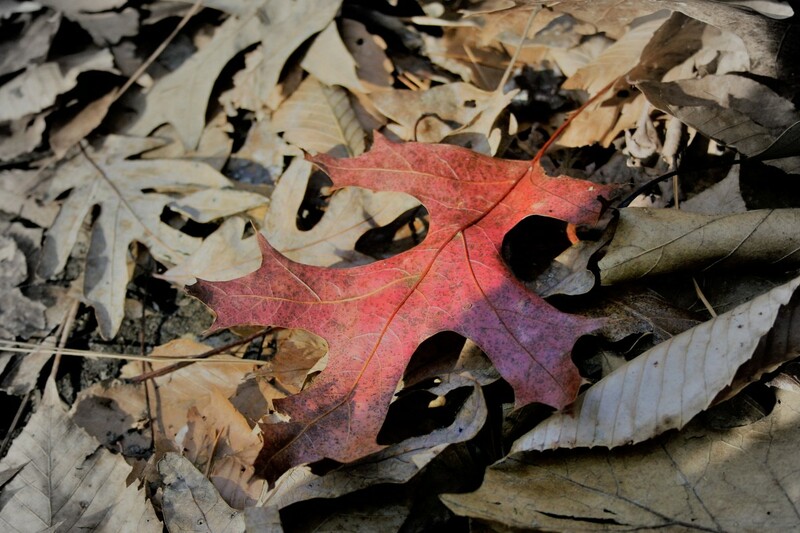 I had hoped it would be melted, but it wasn't, and the hike still wasn't overly difficult. 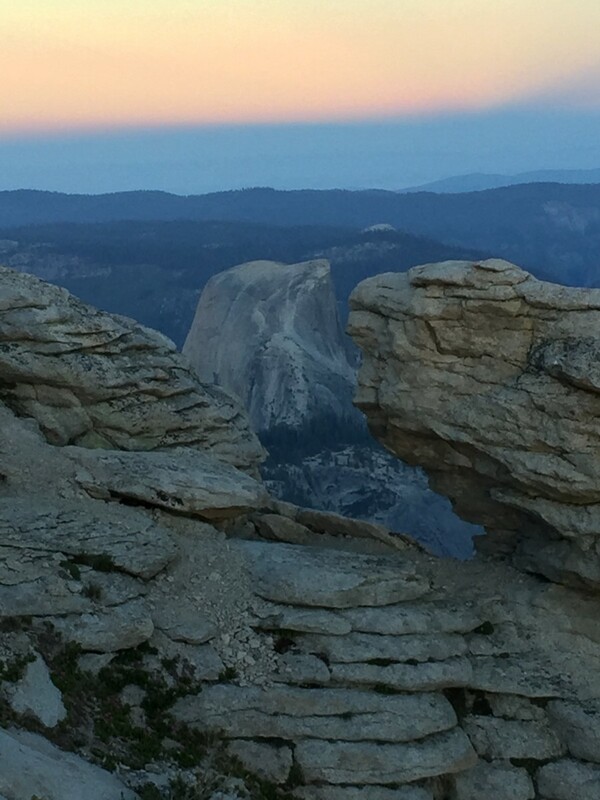 If this hike tempts you, don't get intimidated by rumors that the end is steep. You can do it. You might need to take your time or stop and rest a few times, but it's totally worth it. Even on a cloudy day the hike was worth it, but I'm excited to go back on a day when I can get that spectacular view of Mt. Rainier that the hike is known for. This hike requires the Mt. Rainier National Park Pass. There's a place to purchase a day pass on the way to the trailhead if you don't already have one, but there's not a ranger station there, so you will want to bring exact change or else you'll end up donating more to the national park system than is required (like we did). This is another hike that has views of Mt. 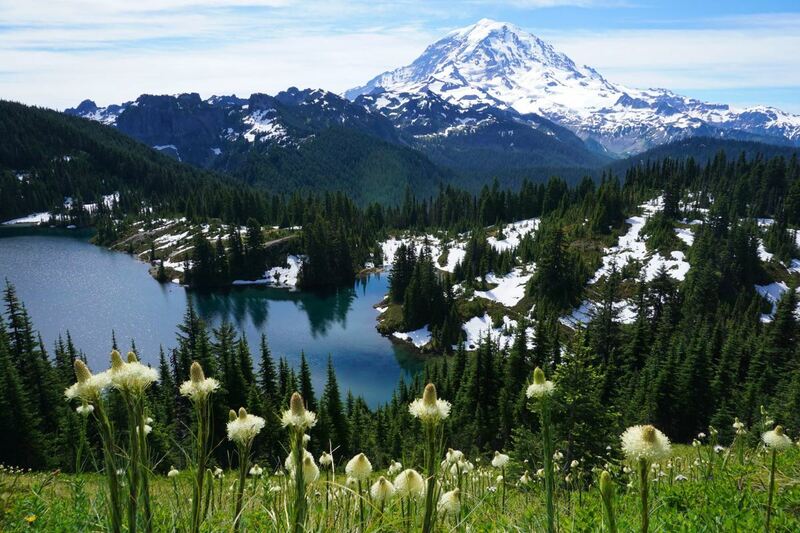 Rainier that will absolutely take your breath away. 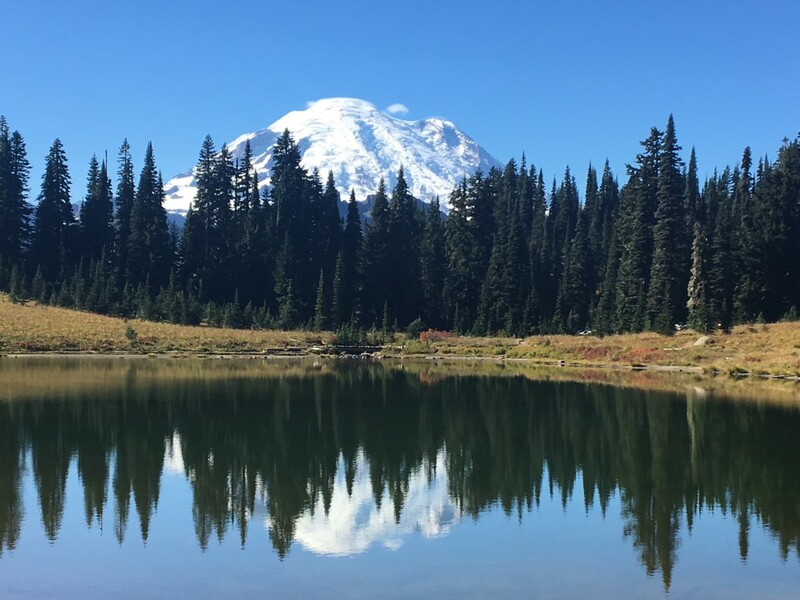 The hike starts at Tipsoo Lake, which provides a great opportunity to snap a photo of the majestic mountain and its reflection. 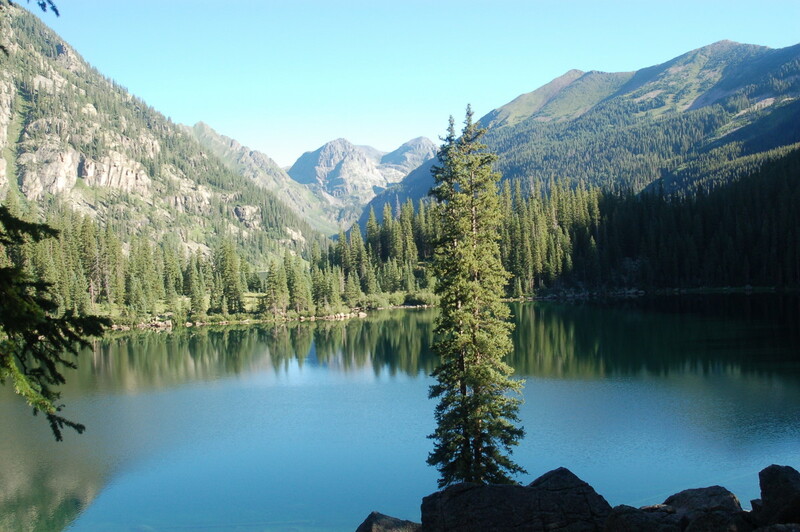 From the lake you will want to go clockwise around the trail. This provides the best views of Mt. Rainier. Otherwise, all the views will be at your back as you're walking around the loop. This trail is only 3.2 miles round trip with just 600 feet of elevation gain, making it quite doable for even the inexperienced hiker. The Naches Loop has all kinds of views, from meadows to mountains. I felt like I wanted to take pictures every time I turned a corner, because this hike was so pretty from every angle. 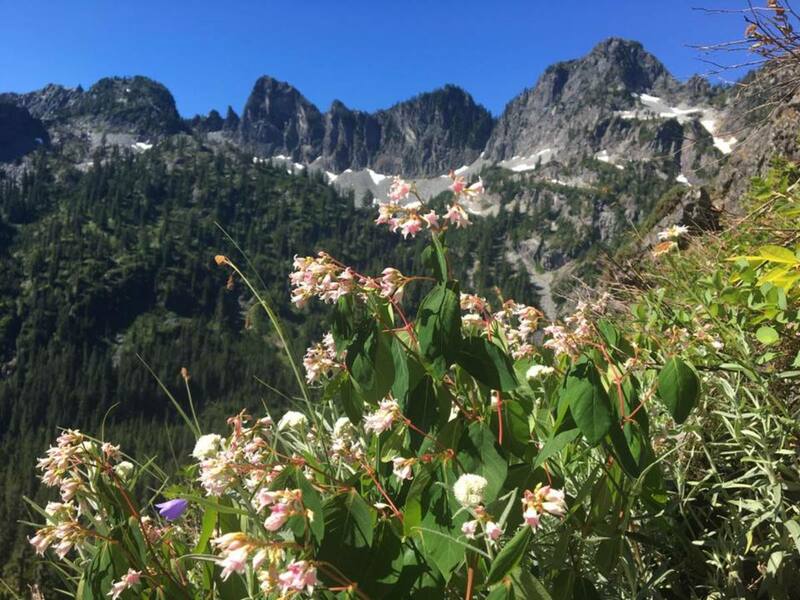 Depending on the time of year, you can enjoy beautiful wild flowers or even huckleberries. You might be competing with bears for the huckleberries though, this is a trail where bears have definitely been known to wander during berry season. 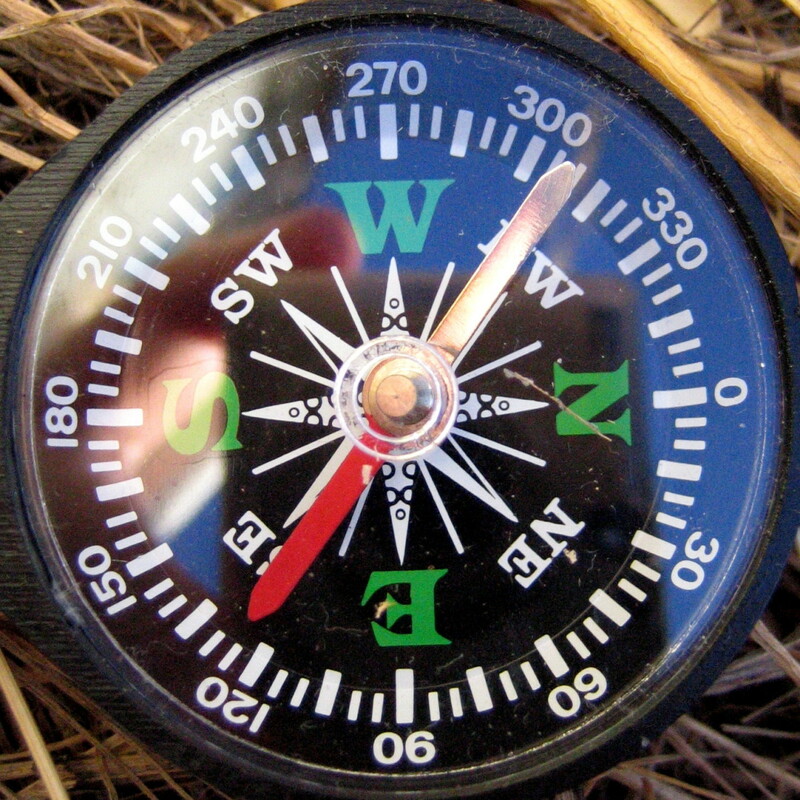 One other cool thing about this hike is that part of the time you are actually on the well known Pacific Crest Trail. 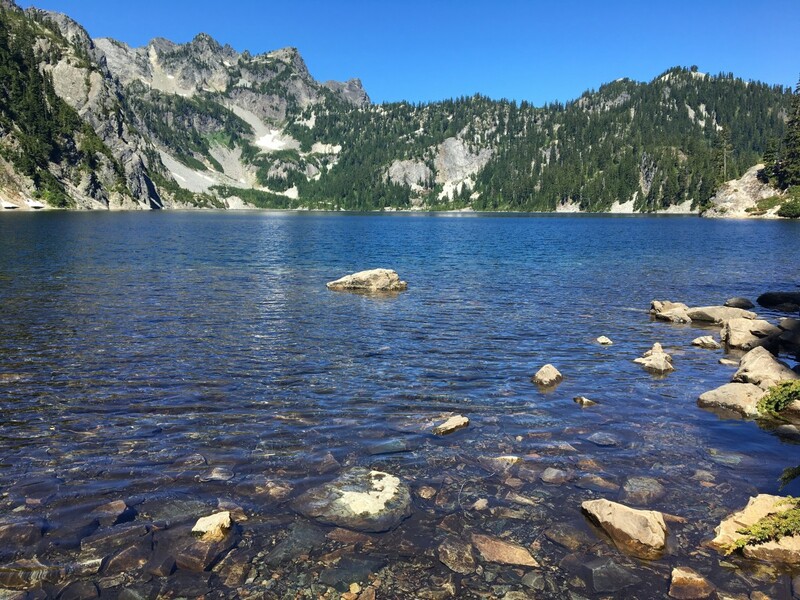 If you want to extend your hike, you can trek down to Dewey Lake, a beautiful lake that can be seen from the Naches Loop trail. One other great bonus about this hike is that it doesn't require a national park pass. All you need is the much more affordable National Forest Pass. This hike has become extremely popular over the past few years (for good reason), so it's best to start early or go during the middle of the week if that's a possibility. One of the great things about this trail is that it's only two miles round trip and doesn't have a ton of gain, so even children find it doable. The last time I did this hike, we had a three year old along with us, and she walked the majority of it. 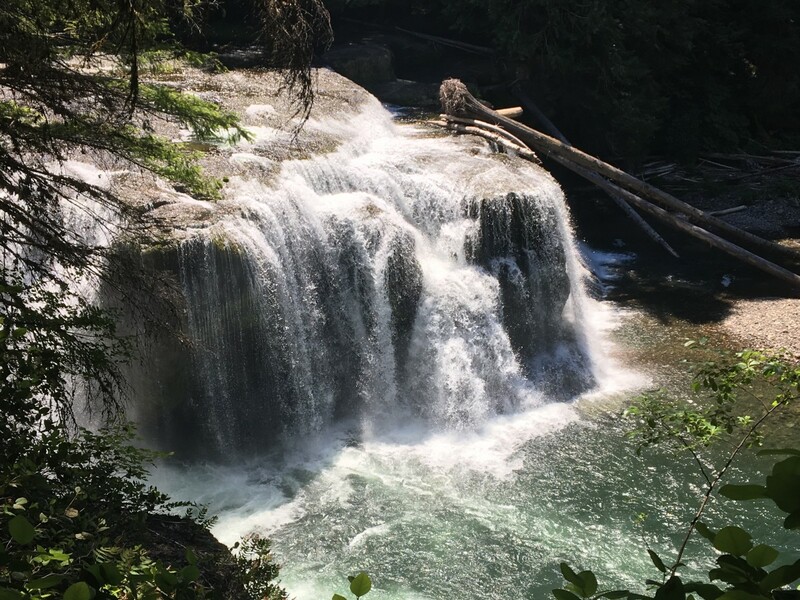 This hike follows the crystal clear waters of Denny Creek through lush forest up to Franklin Falls, which is a pretty impressive waterfall with 135 feet of drop (70 feet of which you can see from the trail). The water comes down with so much force that it creates a pretty strong wind that you will feel the closer you get to it. Even in the summer, it can be a bit chilly next to the falls. Another fun part of this trail (at least its interesting to me) is that if you pay attention to the soil along the edges of the trail, there are many places where you can see a layer of ash from Mt. Saint Helen's eruption. This hike is also a popular snow shoeing destination. When the falls freeze and turn to icicles you will feel like you have been transported to a magical land from a fairy tale. 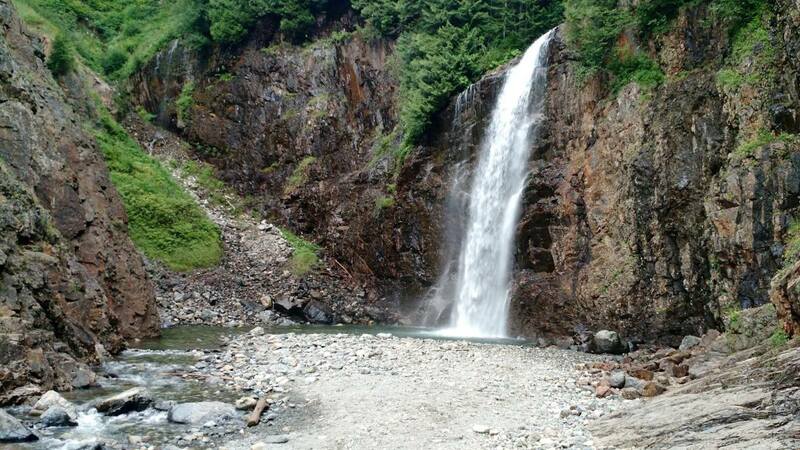 This hike requires the Northwest Forest Pass (a day pass can be purchased in the parking lot). 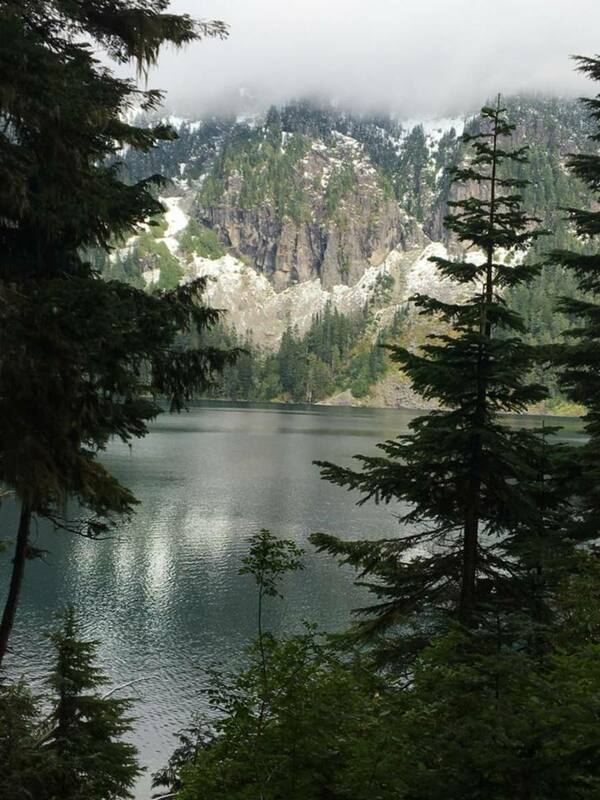 The Snow Lake trail is another popular trail in the Snoqualmie region. The hike is 7.2 miles round trip, and the trail is a bit challenging although I'd still consider it moderate. The most difficult part of this hike is that there is about a mile of switch backs through talus slopes. The trail is extremely rocky, so you want to make sure to watch your footing at all times. That being said, you will want to stop from time to time to take in the mountain views, because they are amazing! 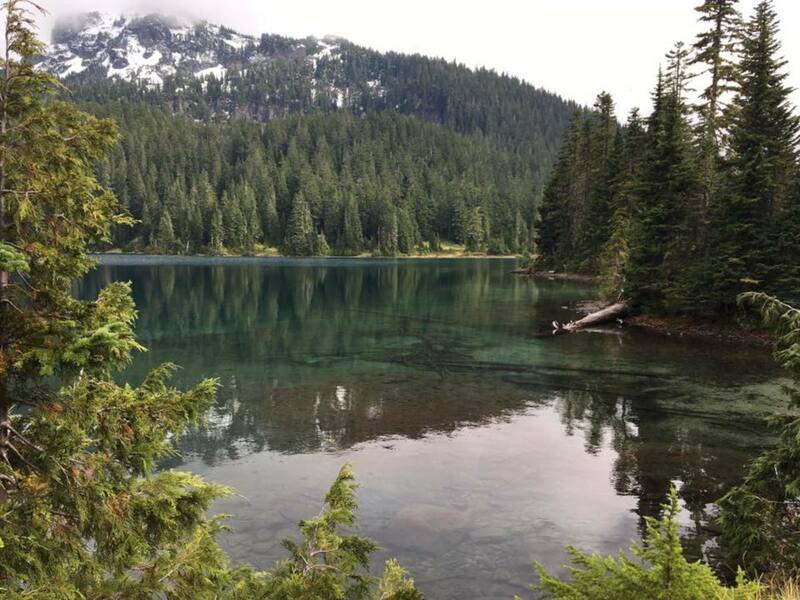 The hike starts out in the forest, then you make your way to the talus slopes, and soon you get your first view of Snow Lake which will be enough to take your breath away. 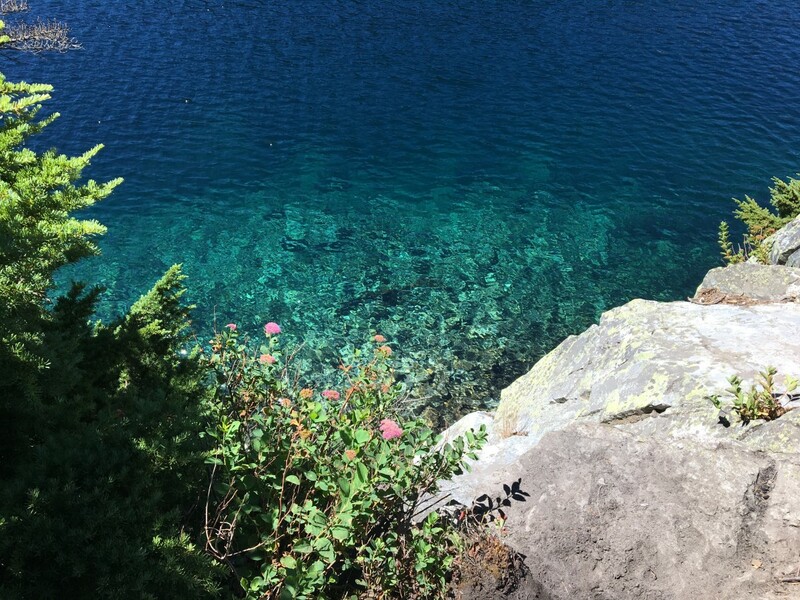 The trail drops about 400 feet down to the lake where you can fully take in the beauty of the vibrant lake nestled in the mountains. 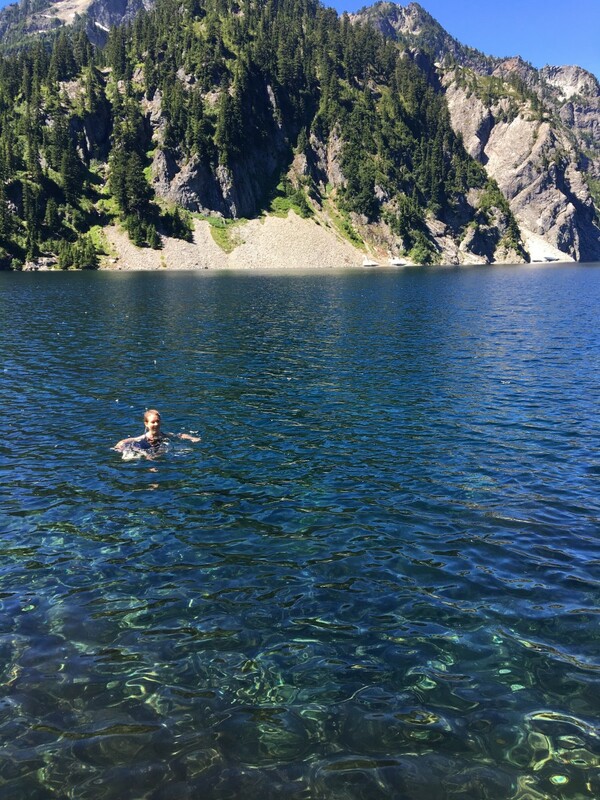 I read many reviews saying that the lake wasn't too cold and made for a "refreshing" swim. I was starting to think refreshing was a synonym for freezing beyond reason, but sure enough, I found my swim to be quite refreshing, and the cool water felt therapeutic on my knees after that rocky climb. Then again, I did the hike in the end of July when a lot of the snow along the opposite shore had already thawed. I have no doubt in my mind that even a few weeks earlier that water probably was freezing beyond reason, but people still seemed to enjoy swimming in it. 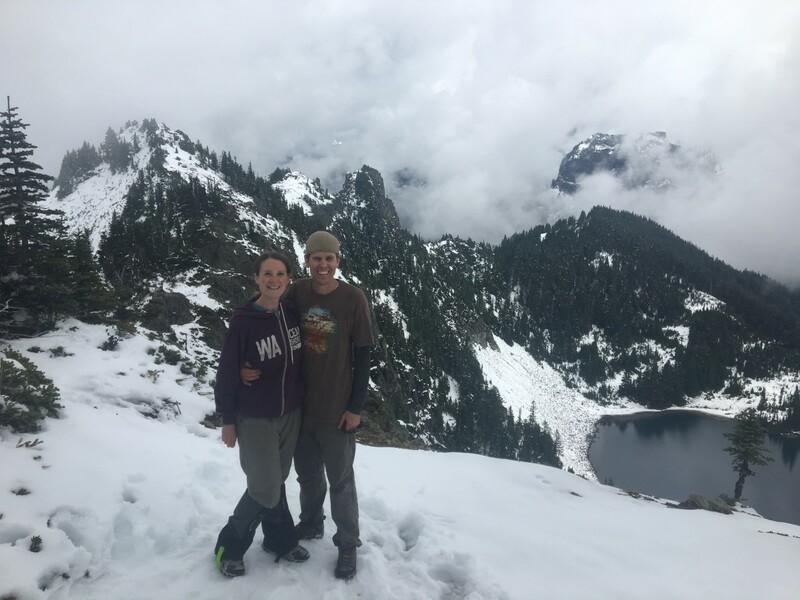 One caution about this hike is that according to the Washington Trails Association, there is extreme avalanche danger here in the winter as the snow depths increase. 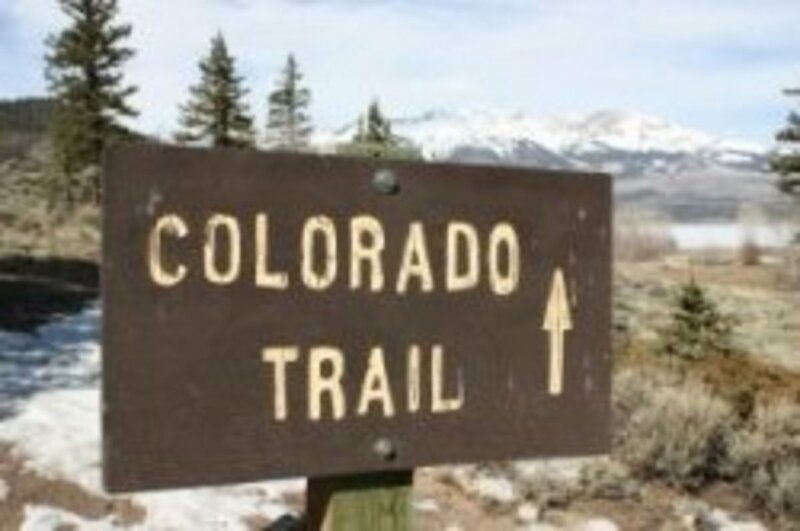 This trail requires the Northwest Forest Pass (daily pass available at the trail head parking lot). 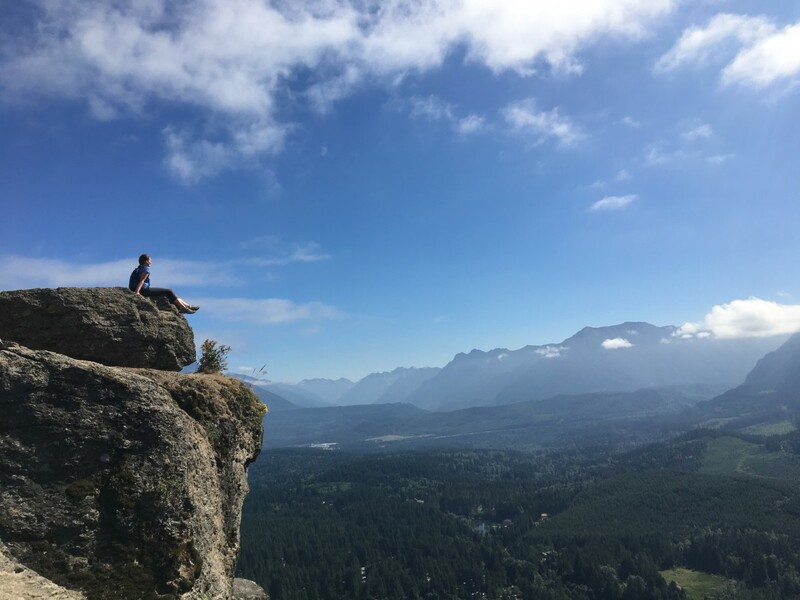 Rattlesnake Ledge is almost as well known for its crowds as it is for its views. That being said, I love this hike. My best suggestion is to go in the middle of a week, get there early, and hope for the best. I've also had luck hiking there on a Saturday evening after the majority of the crowds were done hiking, but there were a lot of mosquitoes in the evening. This hike is four miles round trip with 1,160 feet of elevation gain. That amount of gain may sound intimidating to a beginner, but I've seen small children on this hike, so I know it can be done by just about anyone. It's one of those where you might just have to take your time and not be ashamed of taking breaks along the way. 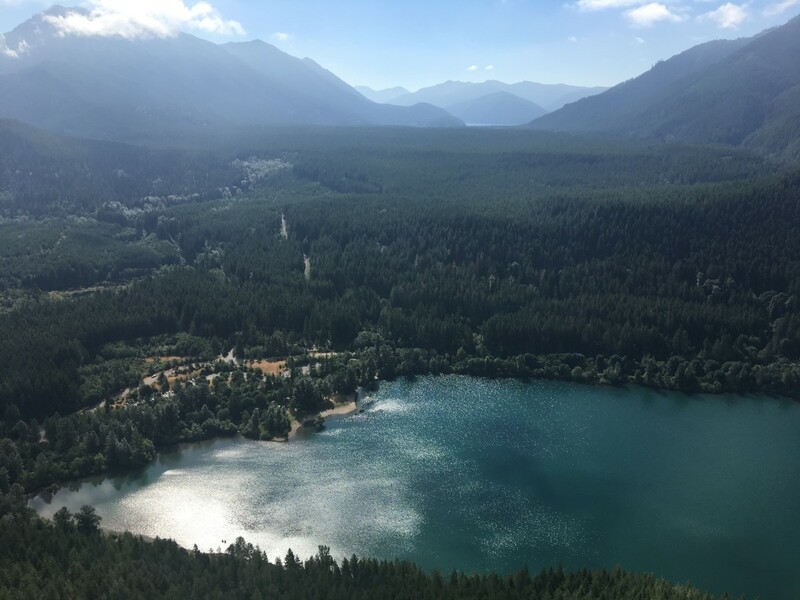 The trail begins right next to Rattlesnake Lake, which is also a popular swimming spot if you feel like taking a dip to cool down when you finish your hike. The trail switchbacks through forest up to the cliffs of Rattlesnake Ledge. The switchbacks are pretty well done making the elevation gain quite manageable even for those who aren't extremely experienced hikers. 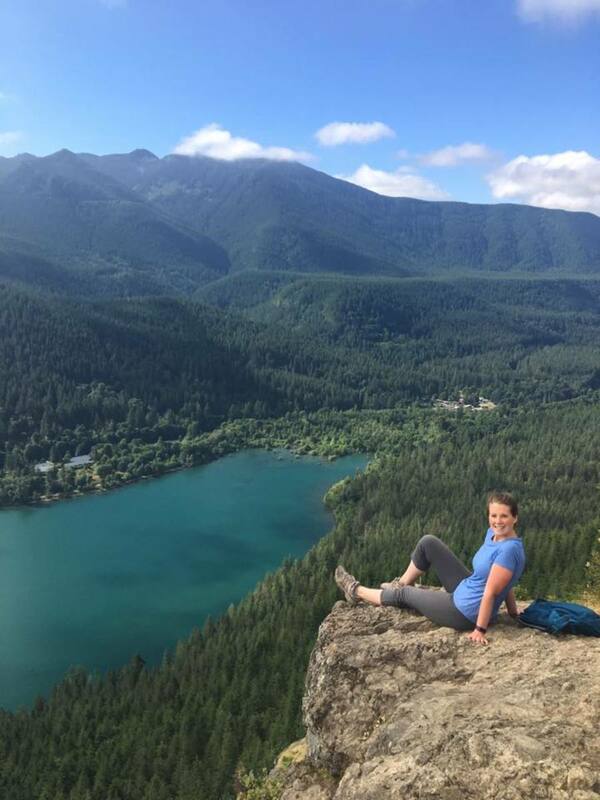 Rattlesnake Ledge provides sweeping views of the surrounding mountains as well as Rattlesnake Lake down below. If you bring children along, you will want to keep a close eye on them, because it's a long way down from these cliffs. This hike holds a special place in my heart, because it is where I made huge progress in overcoming my fear of heights. 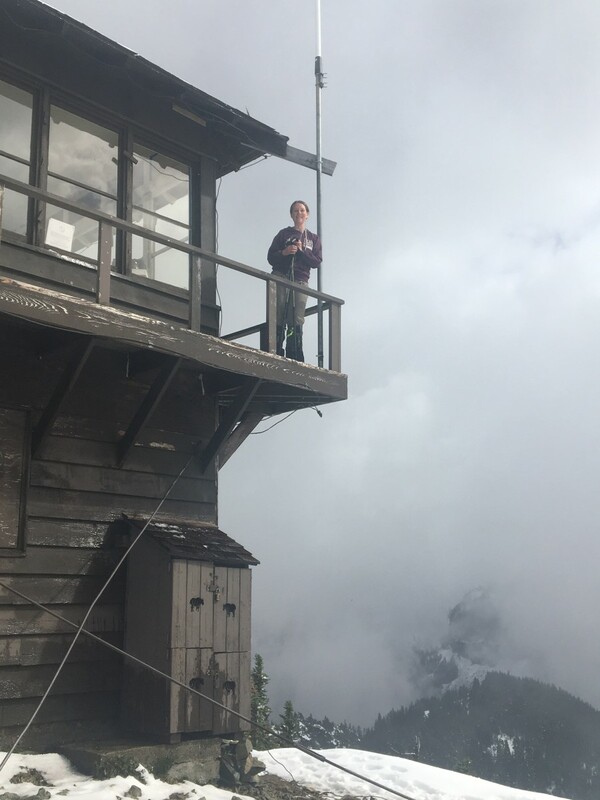 I went there with a goal of getting a picture of me with my feet danging off the ledge (something that seemed impossible at the time due to my fear of heights). I was terrified when I first started walking around on that rocky ledge, but gradually I acclimated, and not only did I get the picture I was hoping for, but I discovered that despite my previous fears, there's a powerful serenity that comes with taking time to be still and breathe in the beauty of mountain tops. 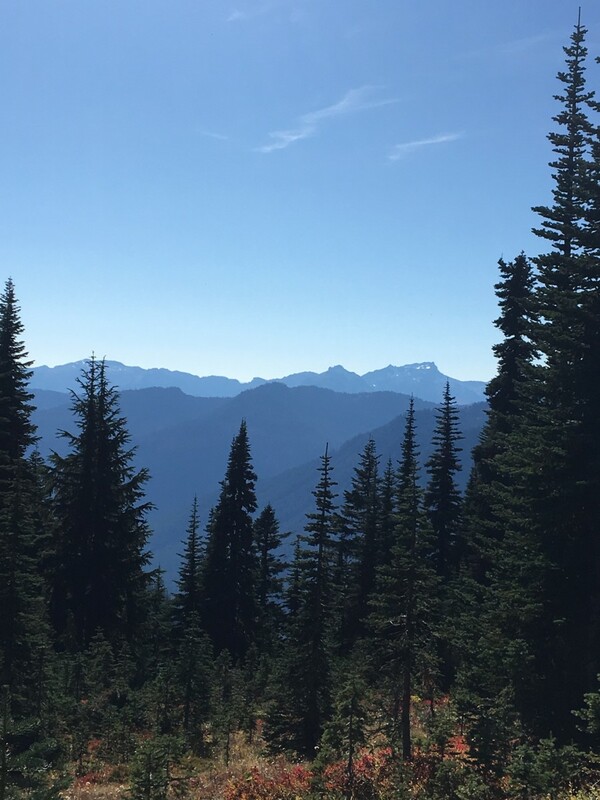 If you want to hike a little further and get a view with a little more solitude, there is an option of going further up the trail rather than ending your hike with the masses at the first ledge. 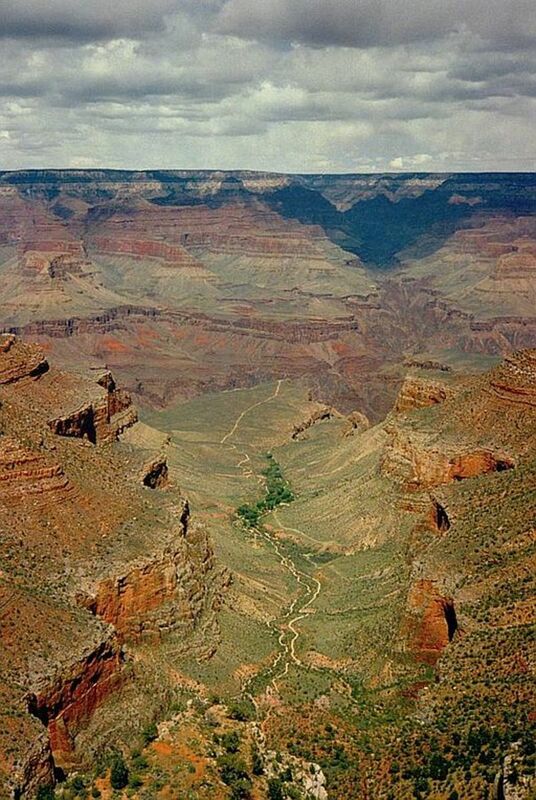 No pass is required for hiking this trail. 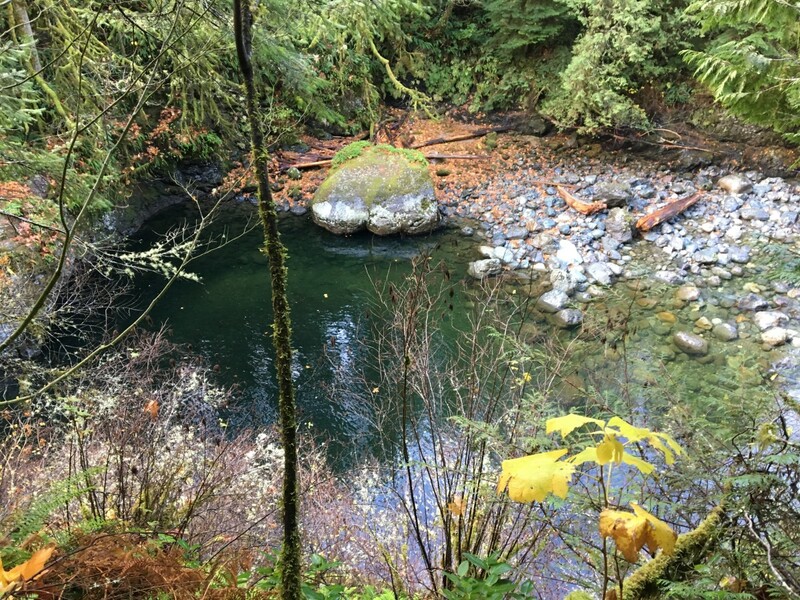 This 2.6 mile family friendly hike provides a variety of beautiful views along the Snoqualmie River. With only 500 feet of elevation gain this hike can fairly easily be tackled by hikers of all levels, although there is a lot of uphill trail from the riverbed to the falls. 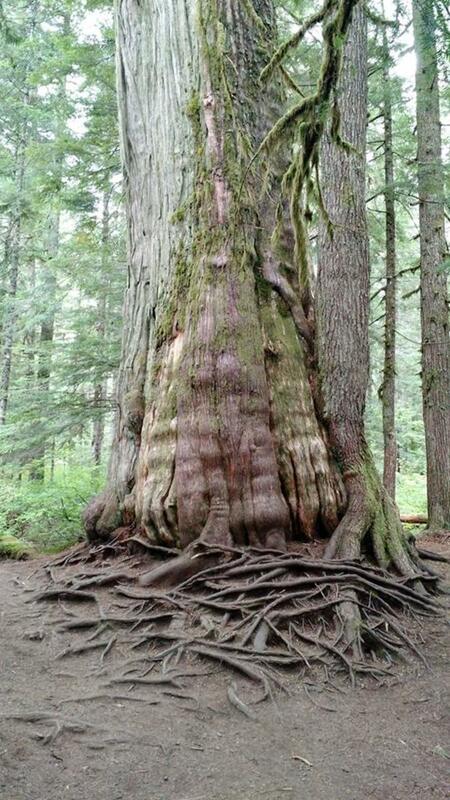 This trail is fairly popular with families, so don't be surprised if you're sharing the trail with other nature lovers. There are several features of this trail that I particularly enjoy. First, there are many places where you can access the riverbed. 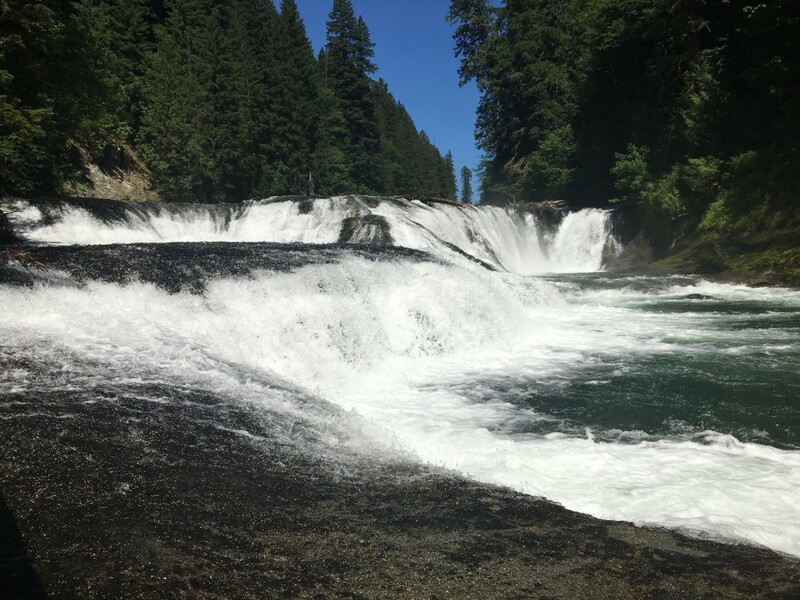 On a hot summer day, these locations are a great place to sit on a rock and soak your feet or even wade a little bit. There's also a large tree along the side of the trail that is in close competition with the falls as being the highlight of the hike (at least in my mind, but I love old growth trees). Your first view of the falls will come from a viewpoint that has benches so you can sit and enjoy the scenery for a while. 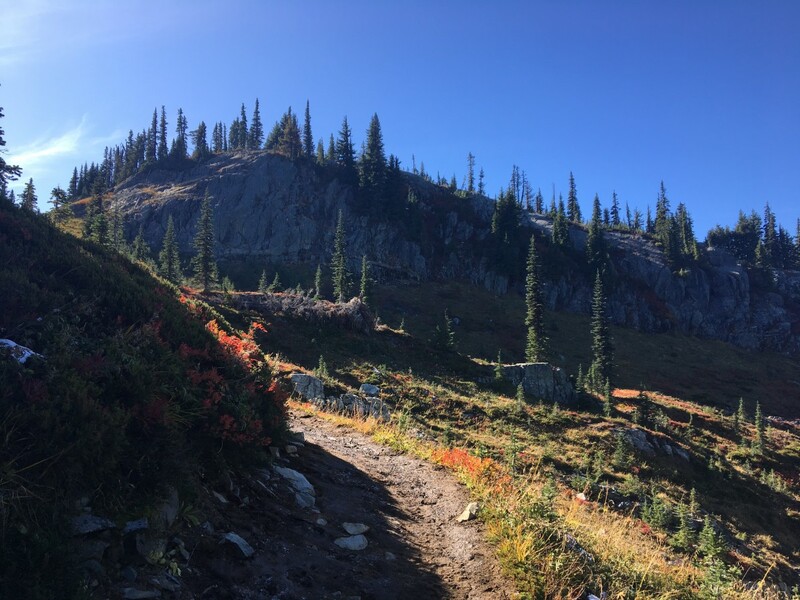 If you have children with you who are tired, that might be as far as you want to go on this hike, although I highly recommend pushing through to the end. From that viewpoint you will make your way back down towards the river bottom and then head back up towards the waterfall. Eventually you will see a staircase going down on your right. Don't skip the staircase! This staircase takes you to a man made platform which provides your best view of the falls. It's well worth the effort of going back up all those stairs. From the staircase, you only have a short distance to go before reaching the top of your hike. Just go up a little further and you will reach a bridge that overlooks the falls. Make sure to take time to look over both sides of the bridge as you will realize that there are waterfalls on both sides of you. The trail continues up more stairs from here to connect with another trail, but if your destination was the falls, you have completed your hike when you reach this bridge. This hike requires the Discovery Pass used to access state parks (a day pass can be purchased in the parking lot for $10 if necessary). Good story, excellent pictures, enjoyed reading this article!